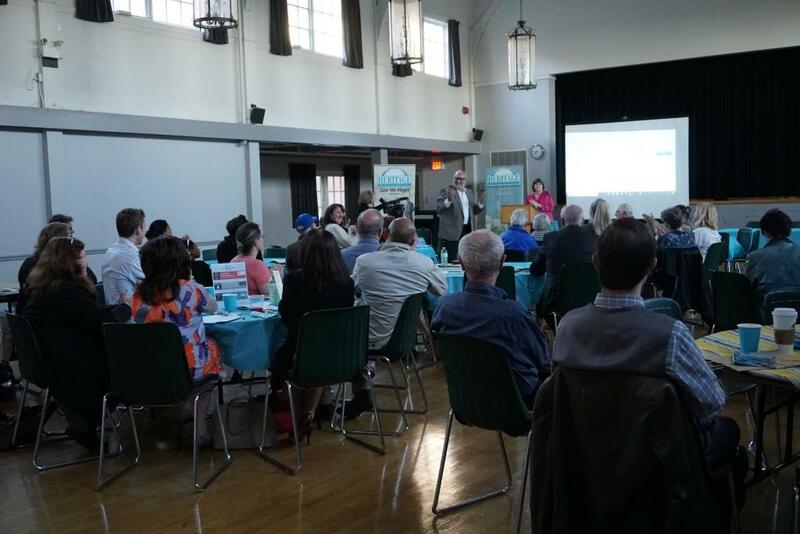 Guest speakers for this year’s AGM were Councillor Dave Cook, Frank Giannone and Michael Spaziani. The presentation focused on the Port Credit West Village Development at Mississauga Road and Lakeshore Road. 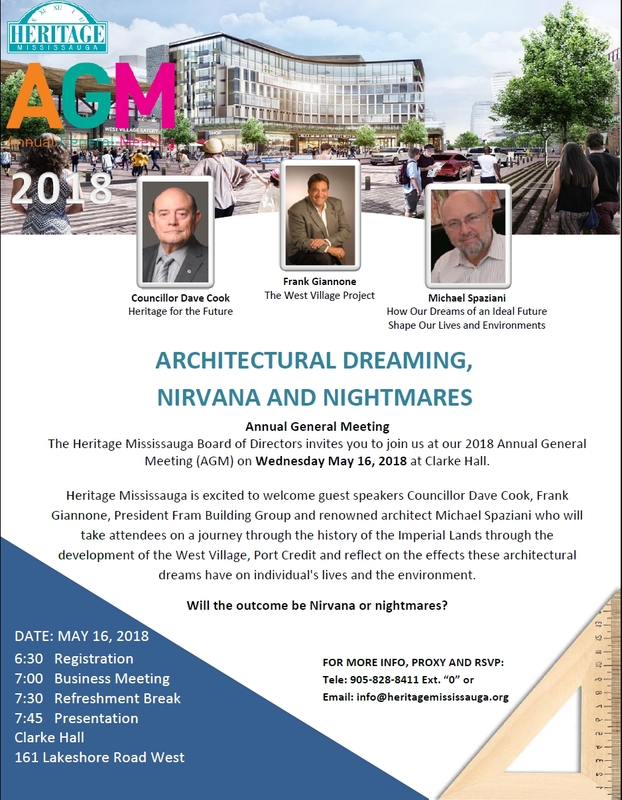 Councillor Cook presented on the history of the Imperial Lands, Frank Giannone presented the vision of the development for the site and Michael Spaziani spoke to the effects architectural dreams have on individual’s lives and the environment.